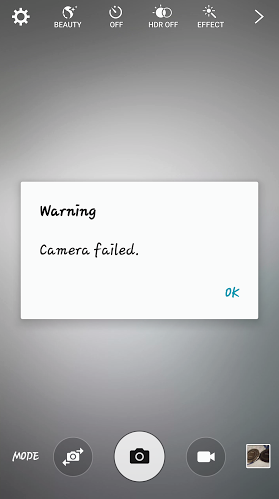 So you’ve received the message “Warning: camera failed “on your Galaxy S6. It’s sad to say, but many consumers have had this problem at some point with their Android smartphones. Believe it or not, the Galaxy S6 camera failed issue is one that can happen to even HTC, Sony, LG, and Motorola users (although the statistics behind how many are affected isn’t known). • Press the power/standby button and you will see a gray box of options appear: power off, airplane mode, restart, and emergency mode. Select “power off” and the device will shut down. 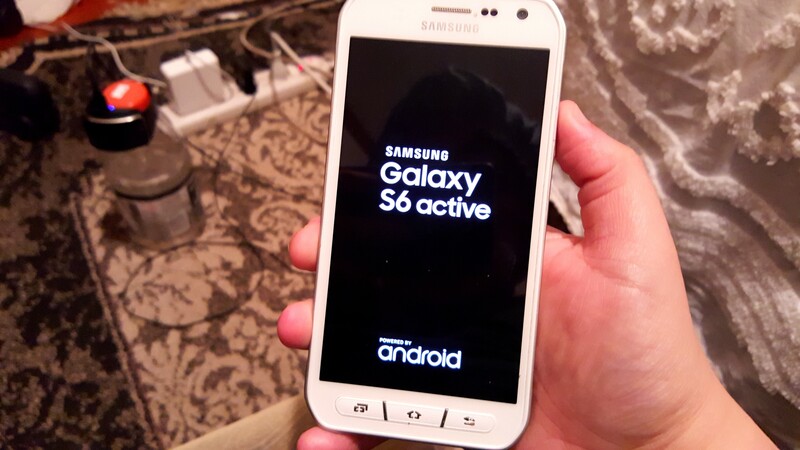 • After you shut down the device, you’ll need to press the Volume Up, Home, and Power buttons until you see the Galaxy S6 screen with “Powered By Android” appear on the device. 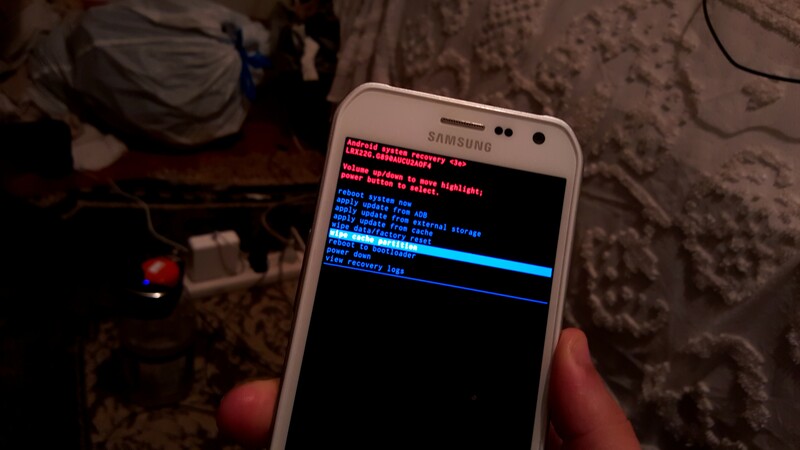 Once this appears, release the buttons and you’ll have to wait until a screen with the words “Android recovery system” in red letters at the top of the screen in order to fix the Galaxy S6 camera failed problem. At this point, you’ll need to look down the screen until you see “wipe cache partition” in blue. Press the volume down button to move down to the cache partition option. When you’re there, press the home button to select the option. The Galaxy S6 camera failed problem is often a result of the need to clean your cache, which is a need for all Android device. • The wipe cache partition request shouldn’t take long. After it’s done, you should see a message at the bottom of the screen in yellow that says “wipe cache partition complete.” At that point, you can use the Volume Up button to move up to the blue option that says “reboot system now.” At this point, let it reboot. 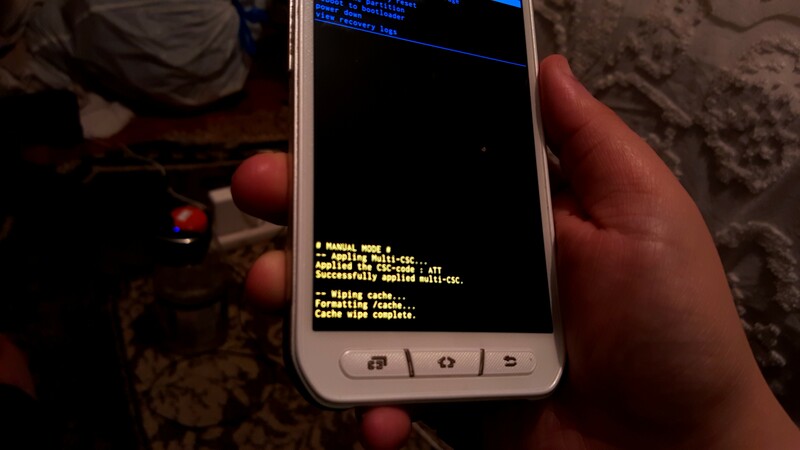 It will bring the Galaxy S6 “Powered By Android” screen back up and reboot to the normal desktop screen. You should arrive at a menu with red and blue commands. After you’ve done the wipe cache partition option, you should see the words “wipe cache partition complete” in yellow letters. The Galaxy S6 failed camera issue is one of which the Galaxy S6 is not the only victim, but when your device is the one that’s having the trouble, you want answers instantly. Did you enjoy our tutorial on how to fix your Galaxy S6 camera failed problem? As is the case with all Samsung devices, you can use this to fix your Galaxy Note 5, Galaxy S6 edge, or Galaxy S6 edge+ failed camera problems as well. Be sure to let us know if this fixed your problem and whether or not you’re now able to use your Galaxy S6 or other Samsung device because of this tutorial. It did not fix my problem. Thank you though! Thanks so much for the advice. It worked. The reason others may find that it “didn’t work” for them is probably because of a few missing steps that some take for granted. Do as the instructions state. When you ” volume down” to “wipe cache” hold “home” until it turns green, then press “power” which is the action to select wiping cache. Then a blue no and yes will appear. At the top. And “wiping cache” will appear near the bottom. Select “yes” and then press “home” until it turns green and then press “power” to select. When the cache is wiped, the list that was originally there will appear select “reboot” press “home” until it turns green then press “power” to select. Your phone will return to its home page. Your camera should now work. Hope this helps someone. Zana thank you for the information. Unfortunately i’ve done this 4x and my camera still says warning camera failed. And for someone who is not technologically inclined, we meed folks like y’all. worked for me, really easy and simple. Wouldn’t wipe the cache. But thanx. I Also found it is the Power button that selects the option, no matter how long i hold that home button ain’t noting going green. non the less it did not work for me but thanks allot for the how to buddy it seems you helped out a few others though. Galaxy S6…didn’t work. Also (not that it really matters) but while in the menu I needed to use the power button to choose as well. It didn’t work for me. Tried 2wice. What’s the next thing to do pls? My worked but it fails when i switch to front camera! Any idea why!? Did not work! S6 user. Whoever posted this. I love you. Thanks it worked like wonders. It didn’t work. now exploring other websites. Thanks, got there in the end. STEP1: Write these instructions down! Apart from ‘red’ being yellow and at some point nothing appearing to happen and finding that both up and down volume controls both scrolled between ‘Yes’ and ‘No’ options ( click power button on ‘Yes’!) I somehow found my phone turning itself back on and the camera worked. Result for a technophobe like me! “If at first you don’t succeed…” Perseverance! thank you so much, it worked for me in Samsung galaxy s7 flat .yayyy!!!! Does this erase any thing on the device memory pics apps? Took some fumbling around but it worked. At first I thought the cache was not cleaning as there was no click or anything, but in small print at the bottom of the screen it said the cache had been wiped. I did it like 3 times until I realized I HAD done it. And now the camera works 🙂 Thanks! Not sure I did it all right…but it worked!!!! Samsung should give you a Commision…I almost bought an apple to replace this camera less phone. Thank you! Worked for me! Hopefully keeps working. Thank you! does this scrub all your data or does it leave as normal ? Worked for me finally. Thank you. Two things I thought I had S6 but I have S5, the volume button moved the cursor up and down but it was the power button that made it happen (not the home button). Worked for me on 2nd try. Thanks for posting! Tried a few times but didn’t fix my problem. Worth a try though. This worked well for me. The only difference is that I had to press the power button to select the commands, but it says to do that at the top of the phone in that mode. Thank you! Does wiping the cache perform a factory reset as well? 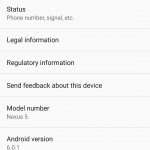 I do not want to factory reset my phone if I have other options. Thank you much. Got my camera on Samsung S6 working again. Your instructions – just perfect. It worked for me! Thanks Zana for the additional information. That did the trick! It works only for a short period of time. Problem keeps coming back. It’s NOT a permanent solution. The video and article were informative and could have been helpful i am sure; only the process did NOT fix the warning camera failed problem. I am so bummed cause i was happy happy happy when i came across this article. It worked. Thanks… just one update. Press the volume down button to move down to the cache partition option. When you’re there, press the home button (Twice) to select the option and the option will turn to green colour, then press the power button to proceed.